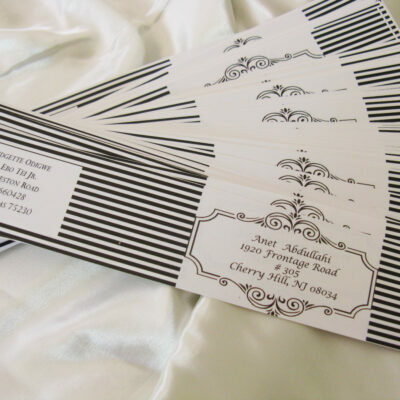 A fun way to address your envelopes with out the hassle of dealing with your printer. Mailing wraps wrap around the back of the envelope to the front. 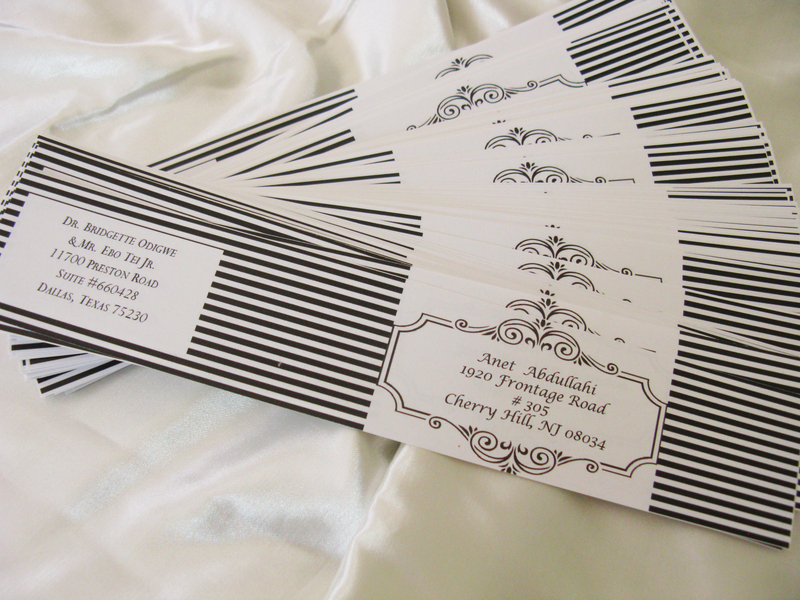 Back part shows your return address, the front part has the guest information. Design/fonts/layout custom designed to your colors & style. Please email info@sweetstuffdesigns.com with your excel spreadsheet. Prints on white label stock.